Microsoft's not being real forthcoming about what exactly Windows Phone Starter is. But! It seems to be a very mildly stripped version of Windows Mobile 6.5 (officially aka "Windows Phone Classic") for developing countries, much like Windows Starter. 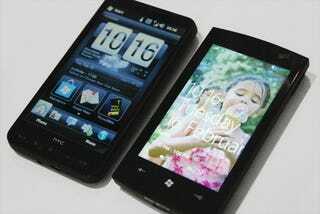 Windows Mobile 6.5 To Be Renamed Windows Phone "Classic" Instead of "Disliked Immensely"